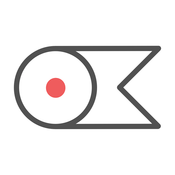 Lookmark has just been released in the App Store! Lookmark is a neat extension that lets you bookmark apps that you’d like to buy or download later. The app also serves as a way to browse your wish list of apps. It’s an ingenious way to use an extension to make a list. If only AppShopper worked like this. Take a look at all the details below and if you’re interested in more apps with extensions for your iPhone and iPad, check out our selection of the Best iPhone App Extensions. And you can always find more of the Best New iPhone Apps here or simply subscribe to our Newsletters to get notified via email.